Buying a new car is a big investment. Folks may spend hours researching, driving around car lots and test driving before they make a purchase. This is why collecting and nurturing new leads is important for people who sell both new and used cars. Salespeople can use these leads to promote the arrival of new cars on the lot, send invites to sign-and-drive events, share subscriber-only rebates, etc. Below are four interactive marketing ideas, plus suggestions on how to leverage the leads you collect. While these ideas are focused on cars, you could use the concepts for all sorts of events, especially fitness and travel. Tying your campaign to an event allows you to expand your list beyond folks who are currently hunting for a new car. 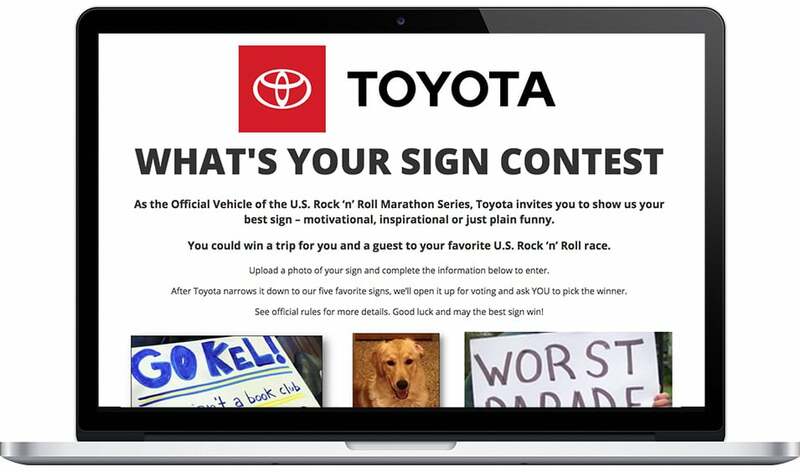 Toyota sponsors the Rock ‘N Roll Marathon Series, a nationwide event that hosts 19 festivals across the U.S. With their “What’s Your Sign” Contest, Toyota invites folks to submit their marathon sign for a chance to win a trip to a future Rock ‘N Roll race. A panel of judges will choose the top five entries, and the public will vote on those entries later this year. Leverage your leads: When collecting leads, send folks a double opt-in email to ask them to sign up for your mailing list. This ensures people who are interested in your product are the people who sign up for your list. Sometimes sweepstakes can feel a little stale after they are active for more than a week or two. Keep your sweepstakes feeling fresh by giving away different prizes each week. 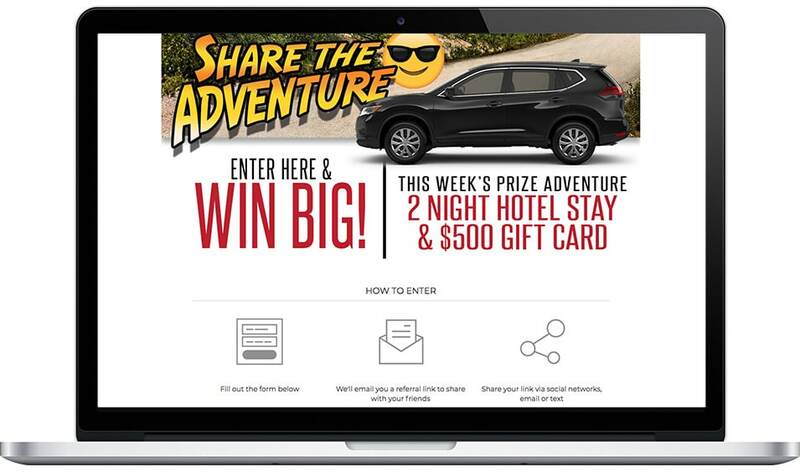 Pohanka of Salisbury created their “Share the Adventure” campaign with new prizes every week. Plus, by using the refer-a-friend feature, Pohanka of Salisbury incentivizes entrants to share the contest with their friends, and in turn, they grow their leads. TIP: Use our time-based visibility settings to start/stop showing Widgets automatically. Leverage your leads: Send entrants from previous weeks an email to announce each week’s sweepstakes and prize. Reminder emails are great for repeat engagement. Ride & Drive events are the open house of the automotive world. Follow Subaru Hawaii’s lead and encourage folks to sign up for a test drive in advance. 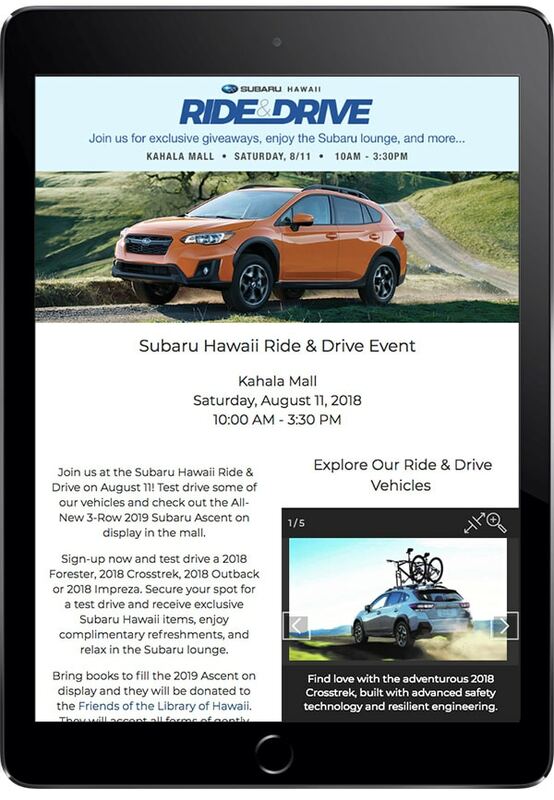 With their Ride & Drive Event landing page, Subaru Hawaii allows folks to reserve their spot for a test drive, as well as gain access to exclusive Subaru gifts and lounge access. This list will come in handy when Subaru Hawaii looks to contact Subaru lovers with special offers in the future. Leverage your leads: After your Ride & Drive event, schedule an email to the people who RSVP’ed. Include information on some popular vehicles from your event, along with a rebate for folks to use if they decide to buy within the next month. User-generated content encourages people to engage with your brand. Bavarian Autosport runs various photo contests throughout the year. Each contest has a different theme that encourages folks to take photos with their BMW or MINI. Their current theme, “What I Did On My Summer Vacation,” encourages folks to submit photos of them having a good time with their vehicle this summer. 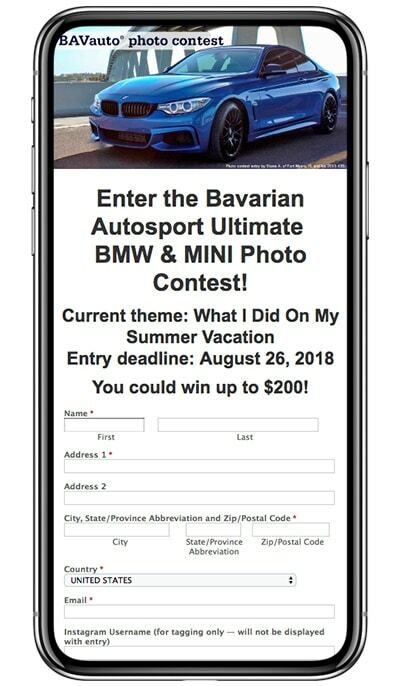 After the submission period, people are encouraged to invite friends and family to vote on their entry, increasing brand awareness for Bavarian Autosport. Leverage your leads: Schedule monthly emails to entrants with new product releases, invitations to ride-and-drive events, or contest announcements.